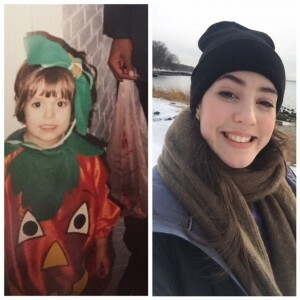 Babysitting & Nanny Agency NYC & Chicago | Sitters Studio | Meet the Artisitter-Sara S.
How long have you lived in NYC/CHI/DC? What is your artistic focus? What is your go to activity/craft? Play dough is my go to activity, or coloring. Sometimes if there’s a favorite movie/show/book that the kids want to watch or read we’ll look at it while making the characters out of Play dough or drawing pictures of them. What is your favorite food to serve the kids? I like making PB&J sandwiches together or pancakes with fun stuff in them like blueberries or chocolate chips. For a long time I had no idea what I wanted to be at all, but I always enjoyed making things with my hands and playing with color and shapes and started seeing that as a sign of what I wanted to do with my life when I was finishing highschool. If your dreams were to come true today, what would that look like? I have a large studio space where I am free to experiment with any kind of material I want while also having time to design and publish some kind of magazine or monthly publication of drawings and stories. And people pay me for my Play dough creations. I would also love to write and illustrate a children’s book someday.